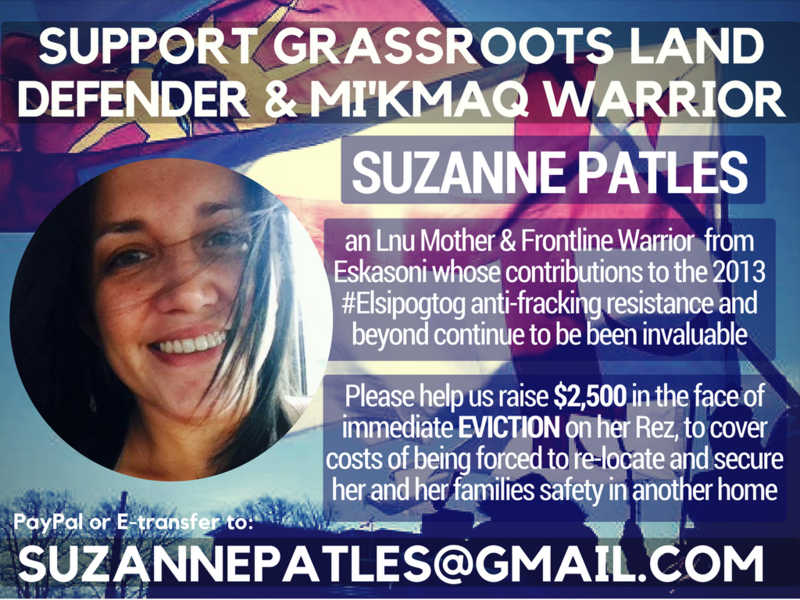 Call for Support: Please help our sister Suzanne Patles, Mi’kmaq Warrior and Lnu Mother <3 Suzanne is facing wrongful discriminatory eviction by her landlord and is forced to move her family immediately or face further harassment and abuse. If settler colonialism wasn’t bad enough, can you imagine being evicted on your own reservation? Originally from Eskasoni First Nation, Suzanne has been active on the frontlines of land defense combating environmental violence as part of the anti-fracking movement in so-called New Brunswick, in her beautiful Uni’maki Mi’kmaq homelands supporting her neighbouring community of #Elsipogtog fight off Texas based fracking company SWN. 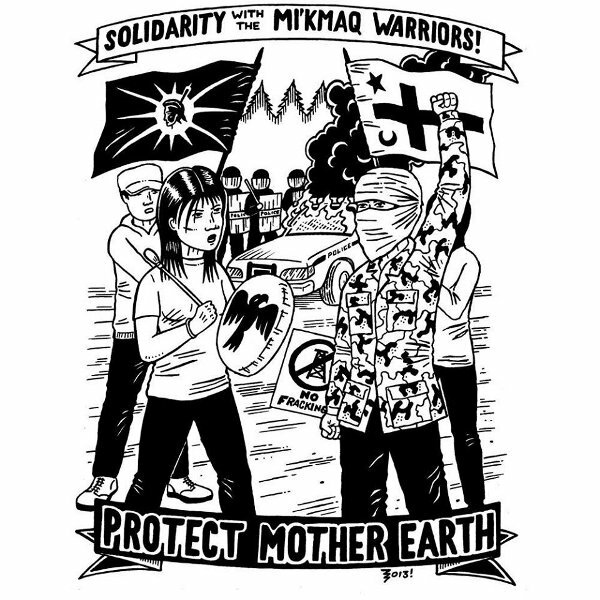 The Mi’kmaq anti-fracking movement on 2013 deeply inspired and revitalized Indigenous resistance on so-called North Amerikkka with the power of their community unified against the police state whose interests has always been to protect the colonizers and their corporate gain!! We have all learned so much from this struggle and continue to see the power of diversity of tactics long after the Mi’kmaq people have kicked SWN out of their territory! !